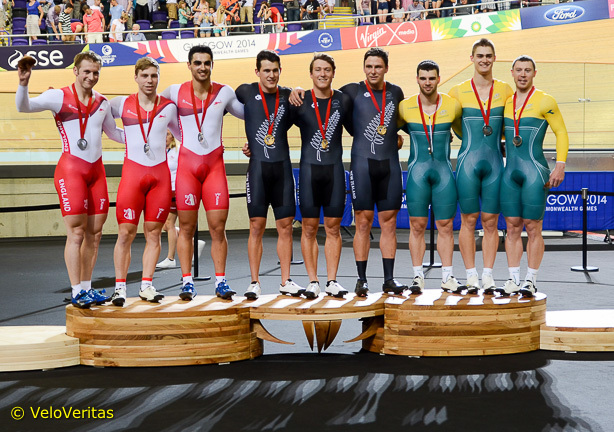 It’s the first day of competition in the 2014 Commonwealth Games and the chat in the riders’ enclosure before the start of the first track cycling session was that Australia and New Zealand had brought a team at the top of their game – and it didn’t take long to become apparent this was true. 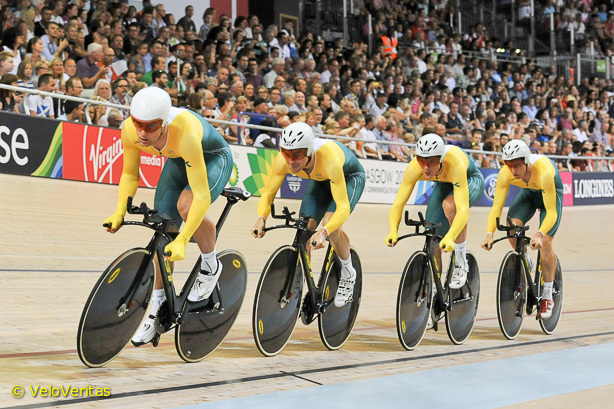 Australia dominated the first day in a packed Sir Chris Hoy velodrome in Glasgow, taking six medals back to the athletes’ village just down the road; two golds, a silver and three bronzes. 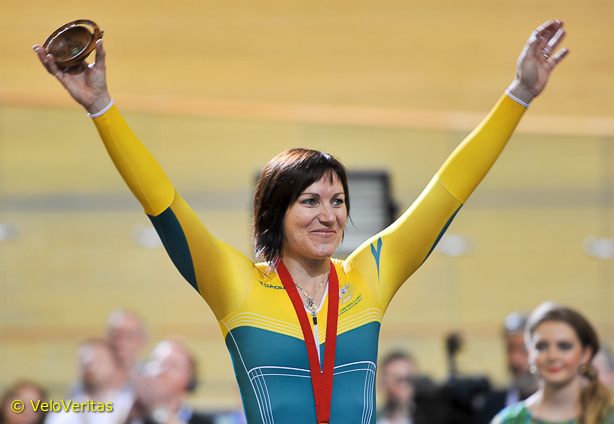 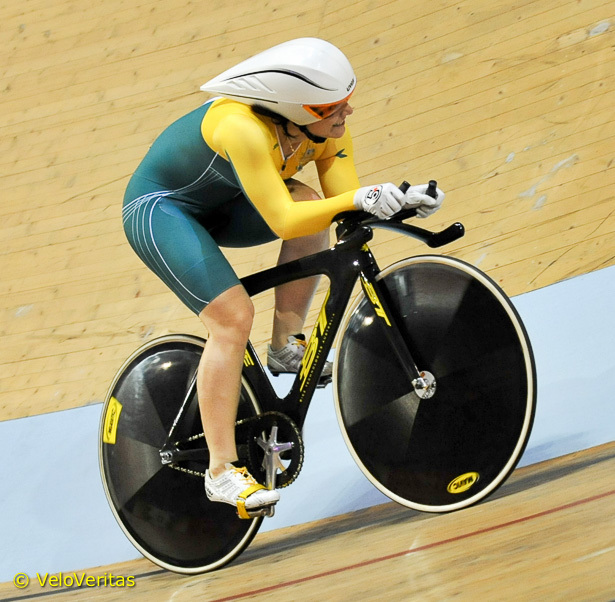 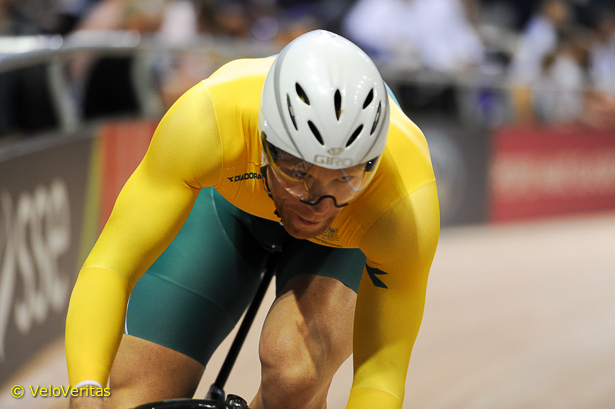 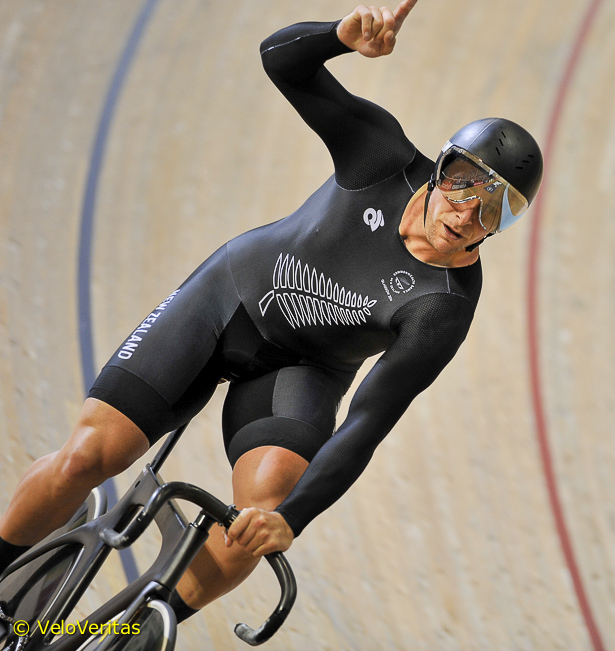 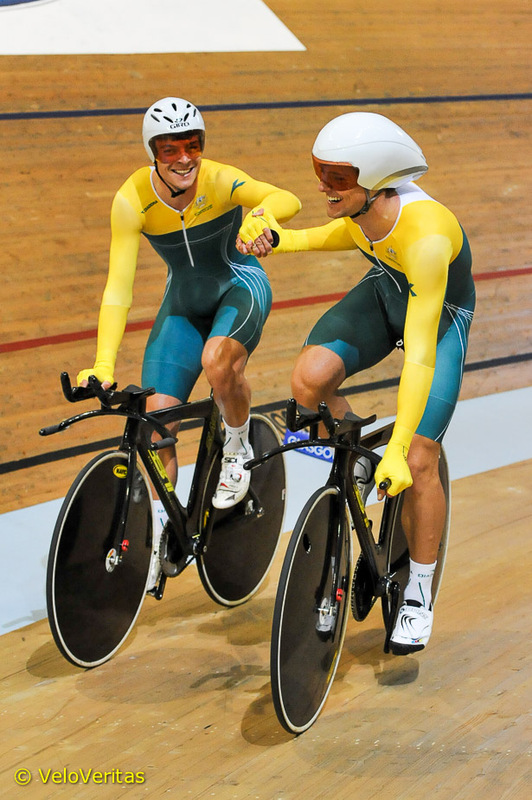 Anna Meares (in the 500m Time Trial) and the Pursuit Team of Jack Bobridge, Luke Davison, Josh Edmonson and Glen O’Shea won their finals with resounding performances, while New Zealand took the men’s Team Sprint gold after qualifying fastest. 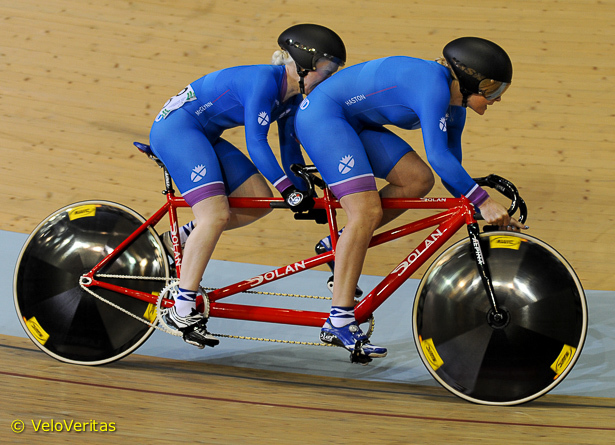 Scotland got on the podium too, three-times Paralympic Champion Aileen McGlynn and her pilot Louise Haston took silver in the women’s Para-Sport Sprint B2 Tandem event. 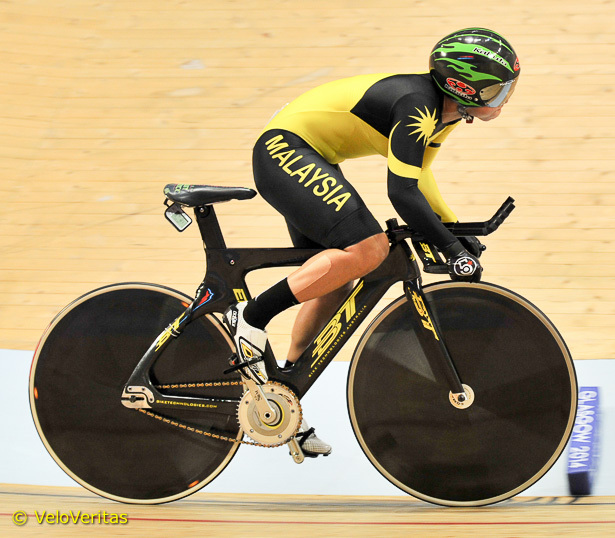 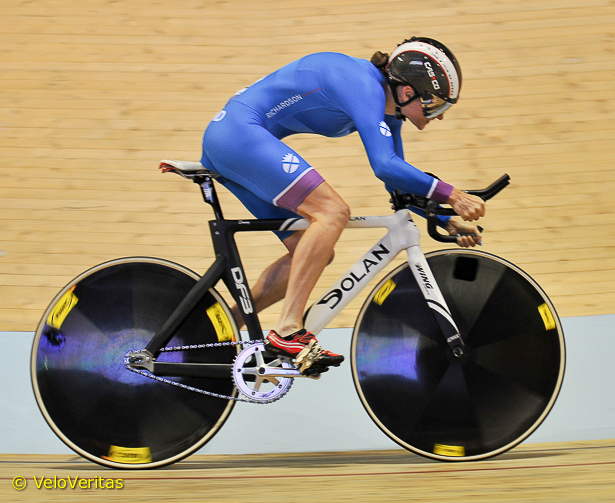 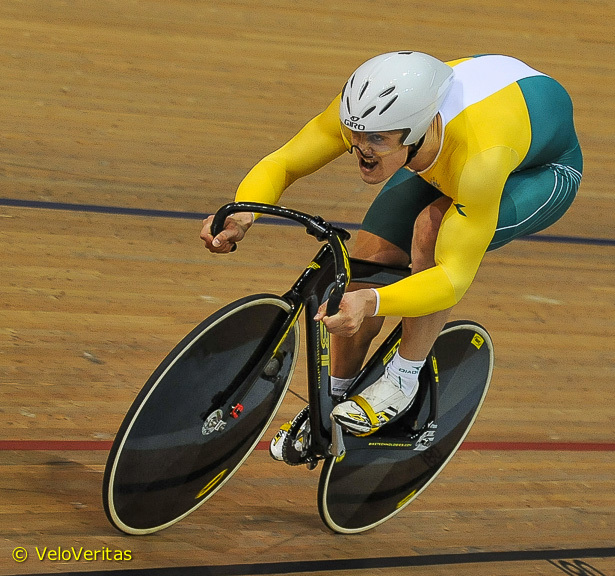 Australia’s aerodynamic powerhouse Matthew Glaetzer set a new Games Record in the Qualifying round of 9.779. 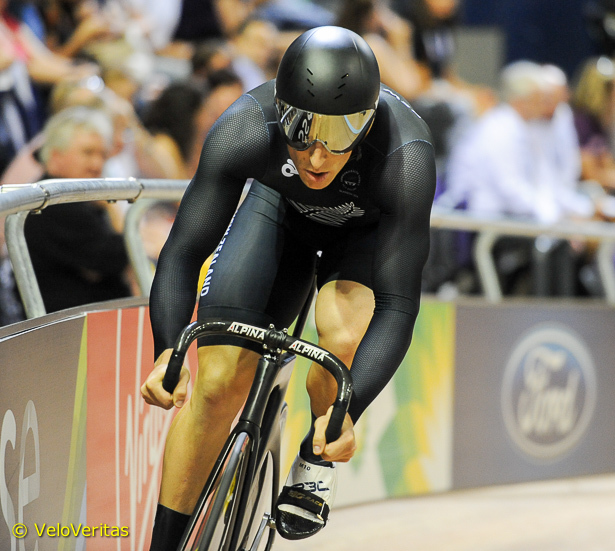 Seeded one and going off last, his unusual position and pure speed put the New Zealanders Ed Dawkins (9.818) and Sam Webster (9.933) into second and third position. 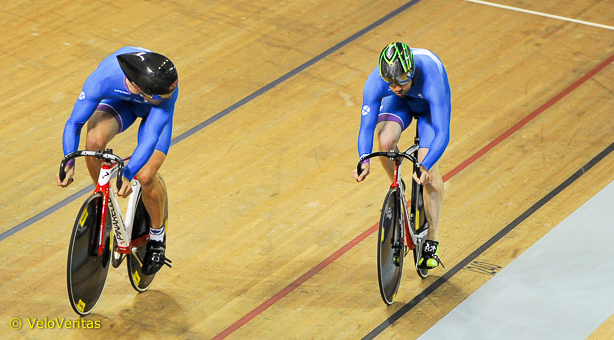 Scotland’s Callum Skinner (10.198) was faster than Olympic Champion, England’s Jason Kenny (12.206), and slotted one place ahead of him in tenth spot. 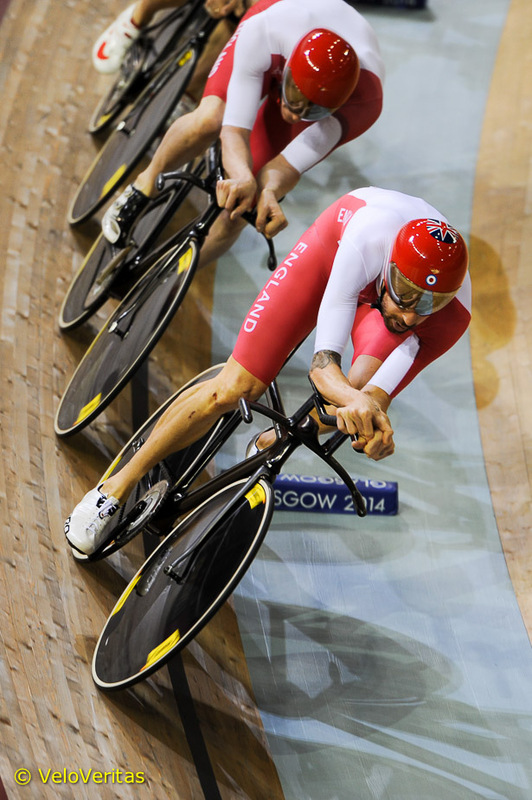 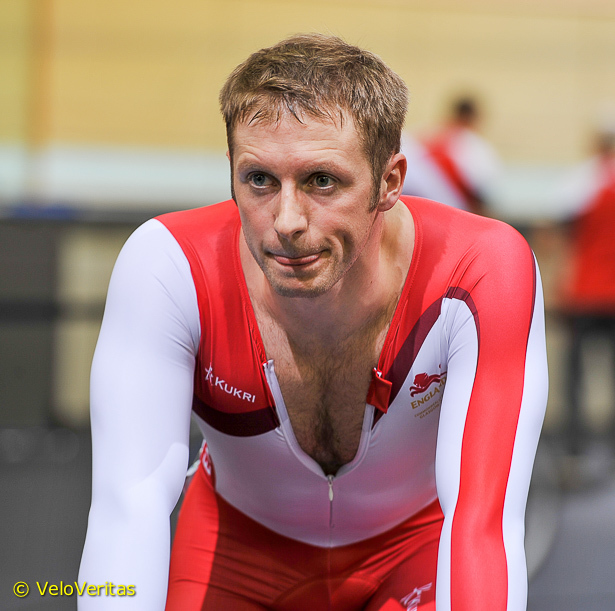 The much anticipated appearance of Sir Bradley Wiggins, still stinging no doubt from his non-selection in Team Sky’s Tour de France roster brought some extra spice to the men’s Team Pursuit competition. 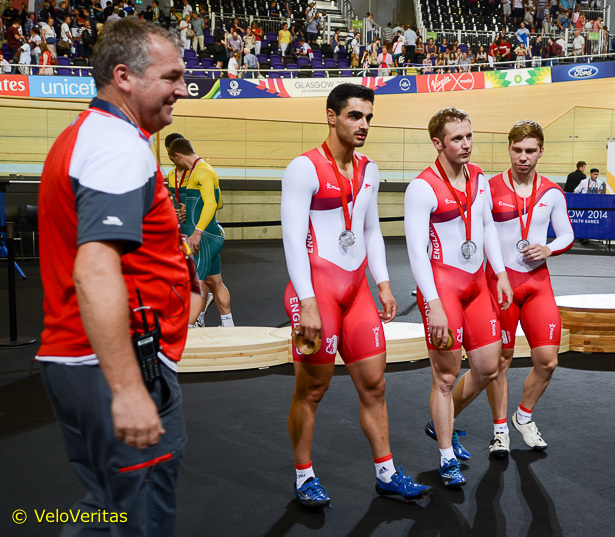 However, it was clear from the qualifying round – which saw only six teams take the start, enough to allow all the medals to be awarded though – that Australia were the team to beat, finishing a second and a half faster than England and looking very relaxed about it. 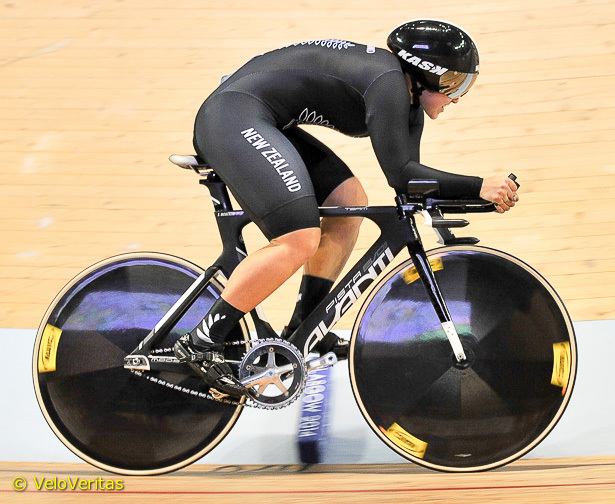 New Zealand were third fastest qualifiers and Canada a distance fourth, so it wasn’t hard for the pundits to predict the medal order in the finals, held later in the day. 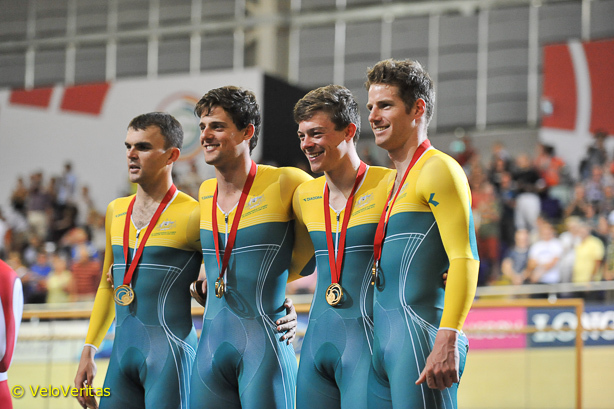 In the final the Australian team pulled away from the gun and quickly established a lead of a couple of seconds, which they built on steadily as the laps counted down. 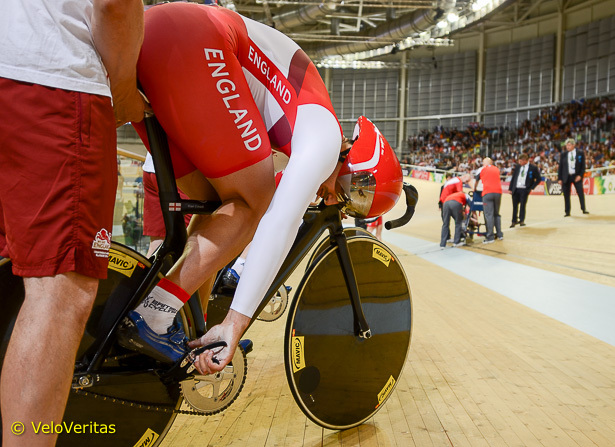 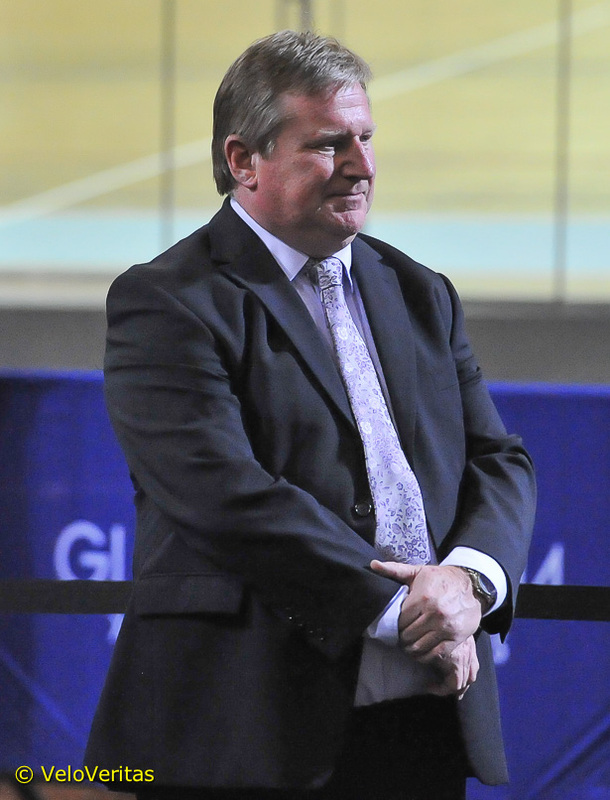 Just after half-distance they jettisoned Edmonson to plan, but it sparked a glimmer of hope in the England camp and inspired Wiggins to pull some extra-long turns, but the gap continued to widen. 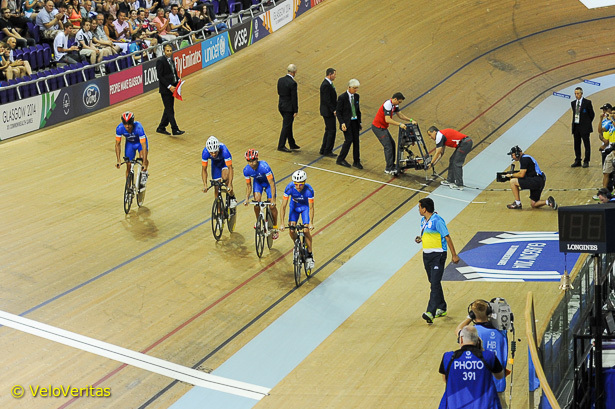 With a couple of laps remaining, the Aussies had England in their sights and Brad and co., now also down to three men, dug deep to avoid being caught. 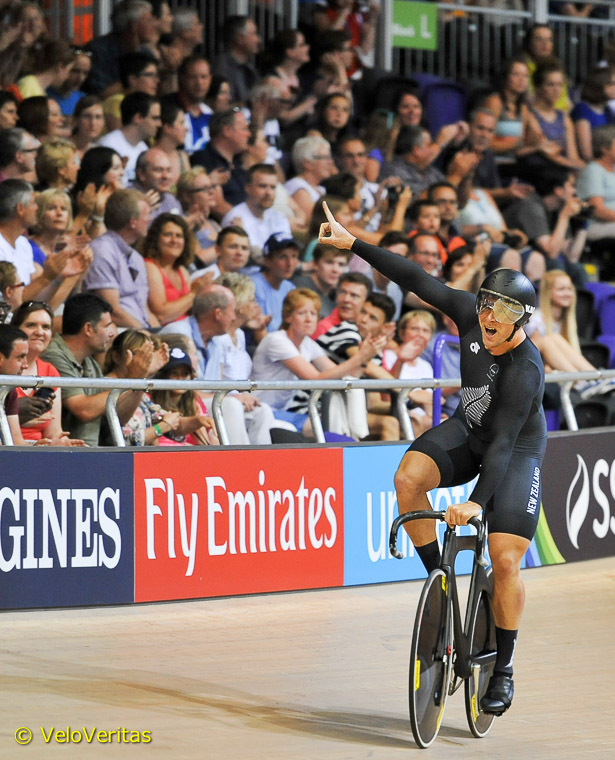 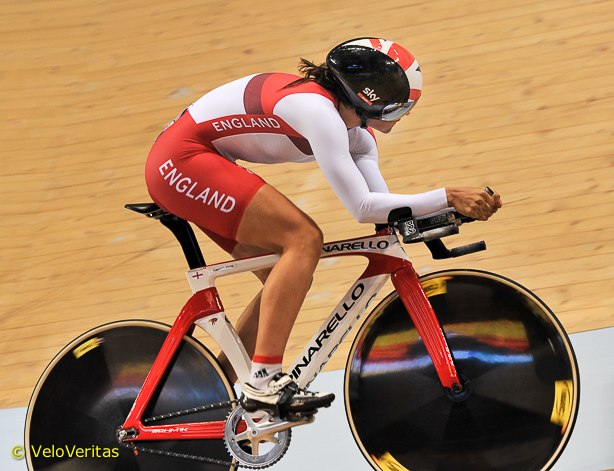 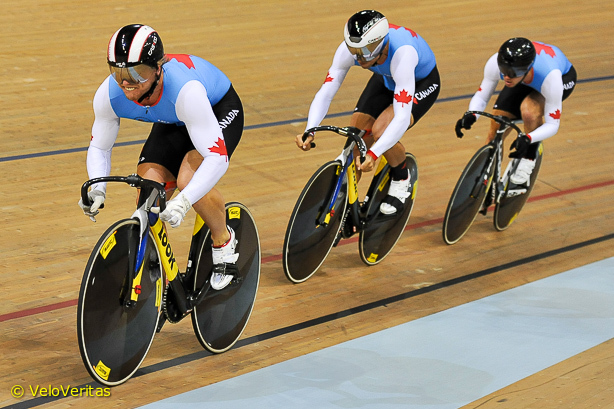 In the ride for the bronze medal, New Zealand were again much faster than Canada and caught them before a third of the distance had been completed. 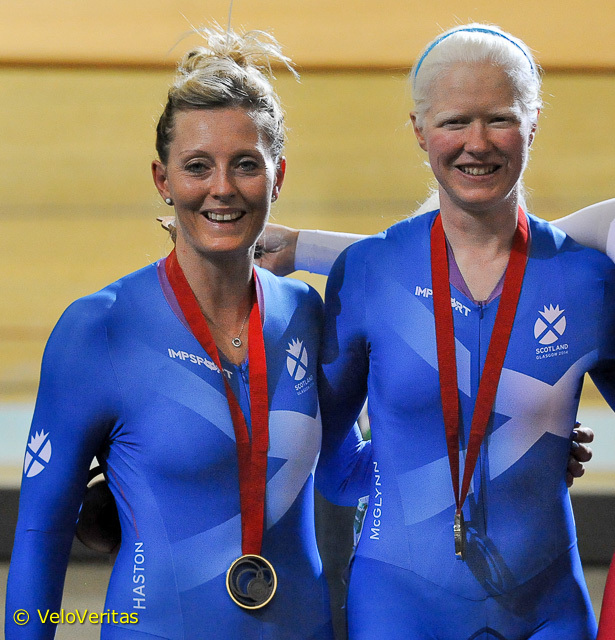 The Scotland duo of three time Paralympics champion Aileen McGlynn and her partner Louise Haston stepped onto the rather low-key podium when they took silver in the sprint, beaten in both final rides by the English pairing Sophie Thornhill and Helen Scott. 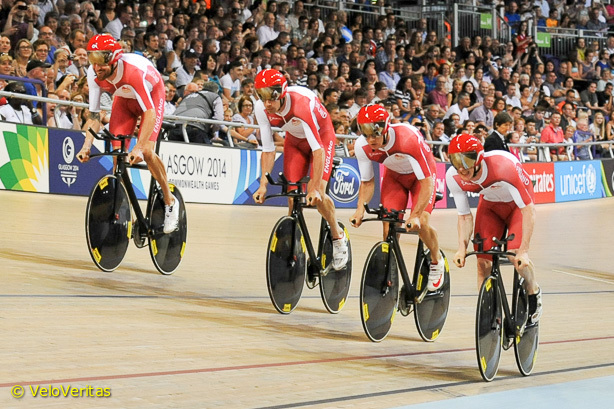 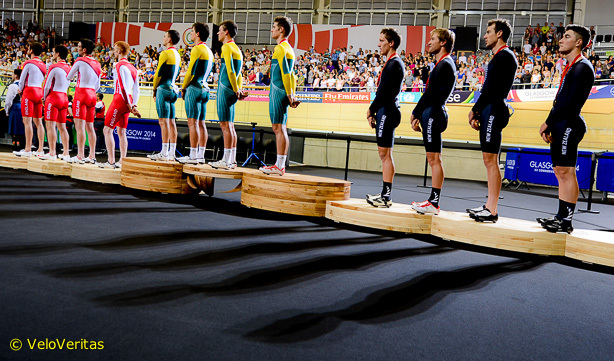 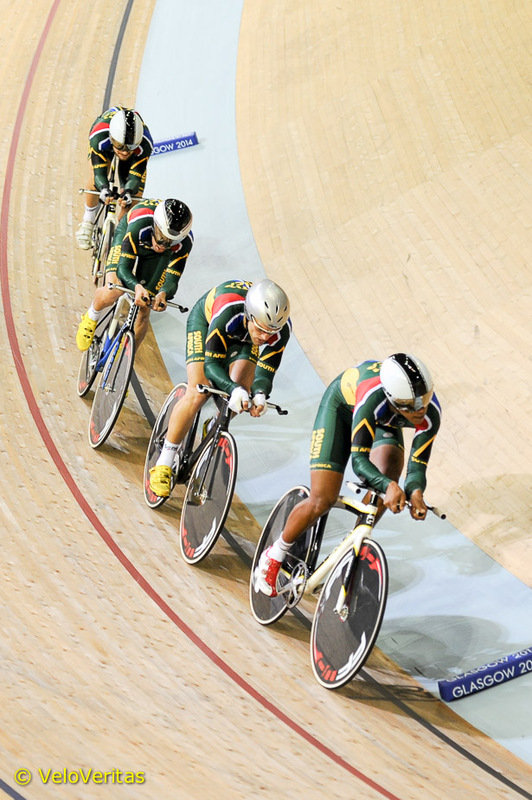 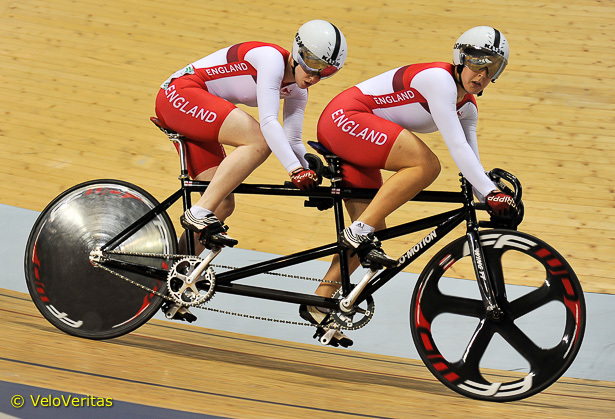 Australia were assured of taking the bronze, having both their tandems in the race. 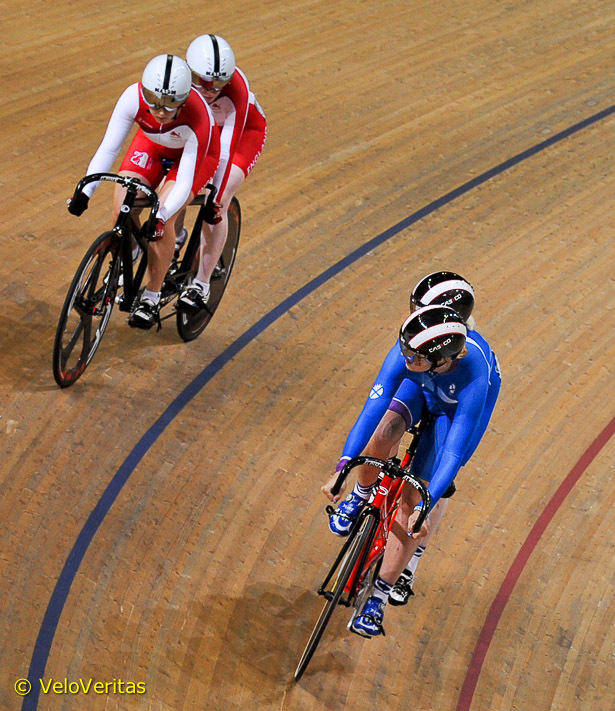 As in the gold/silver final match, Brandie O’Connor and pilot Breanna Hargrave beat compatriots Felicity Johnton and Holly Takos in two straight rides. 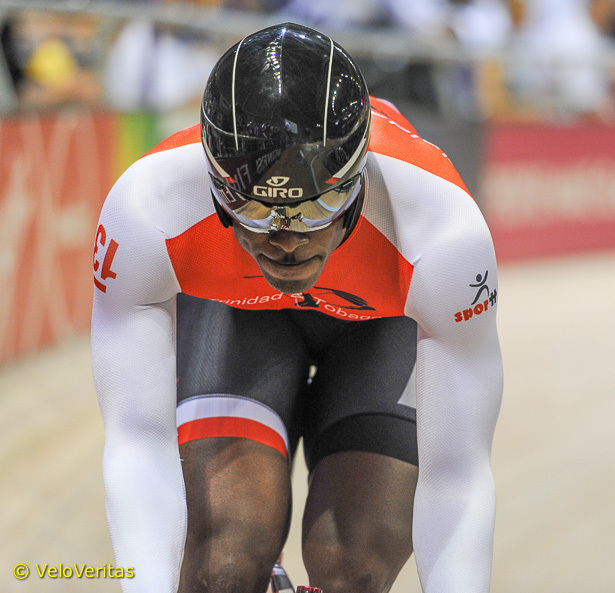 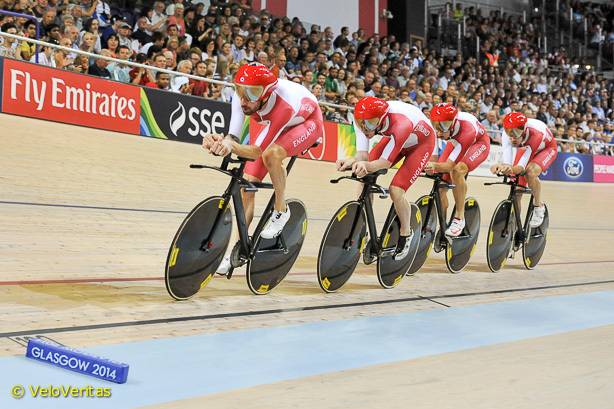 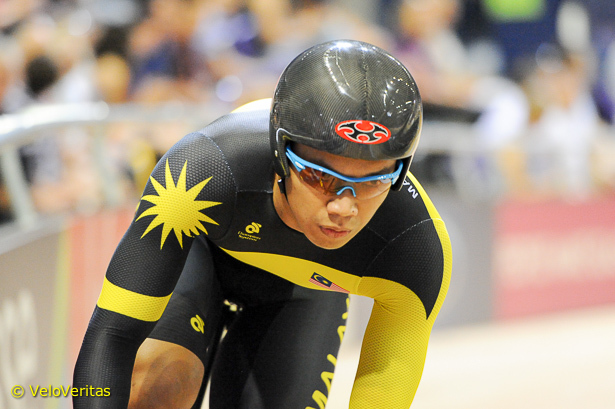 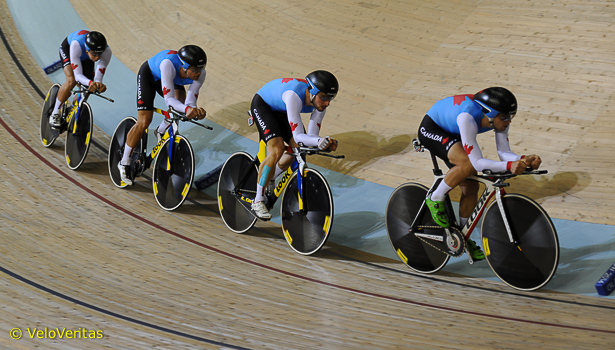 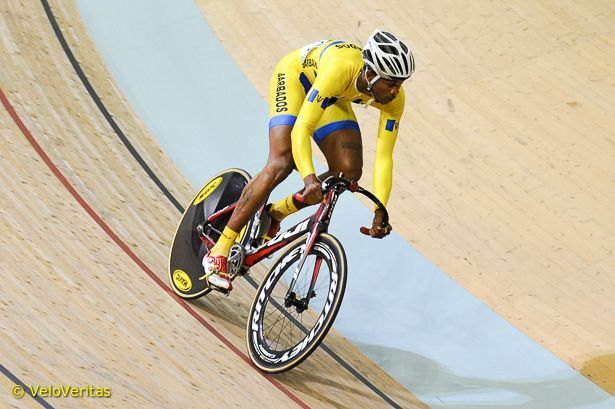 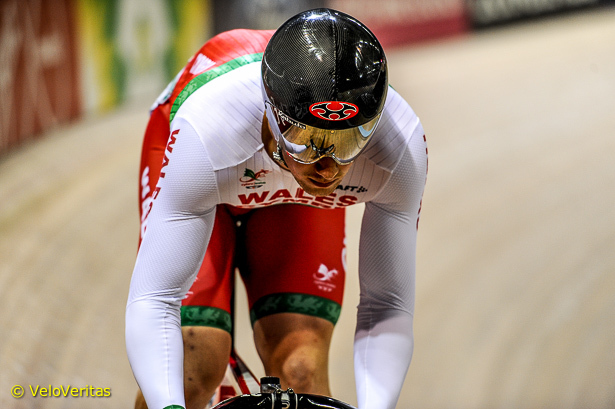 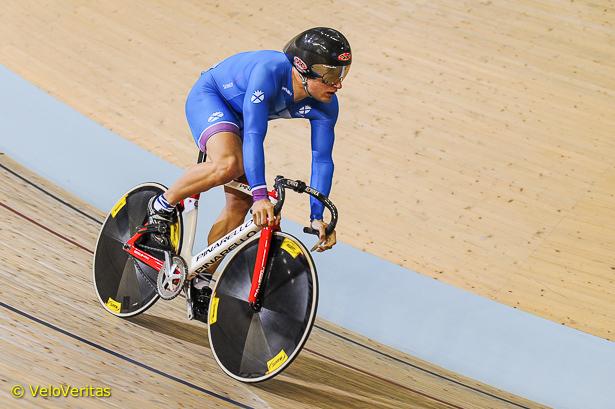 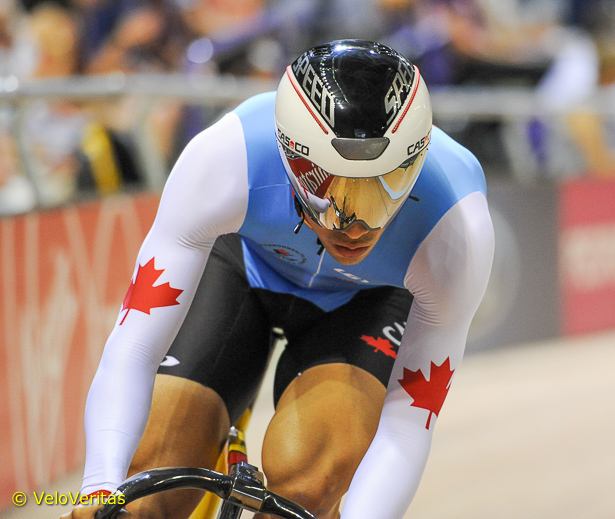 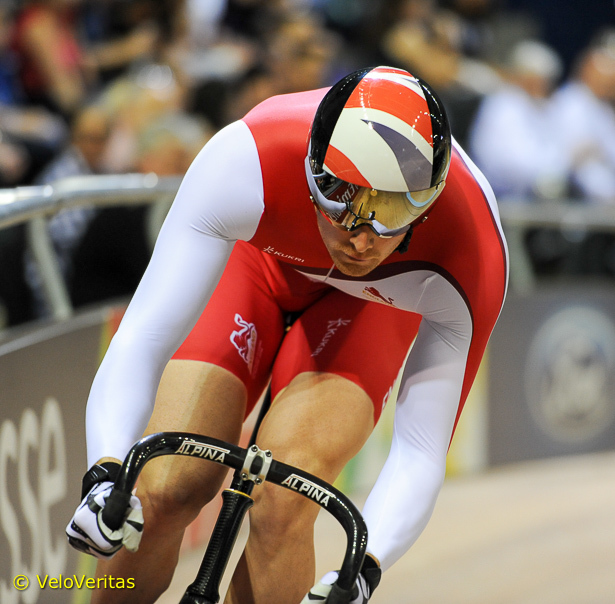 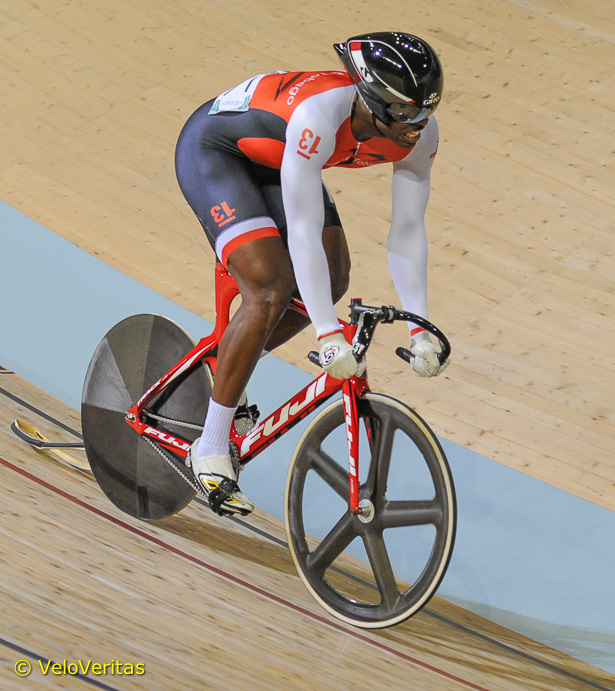 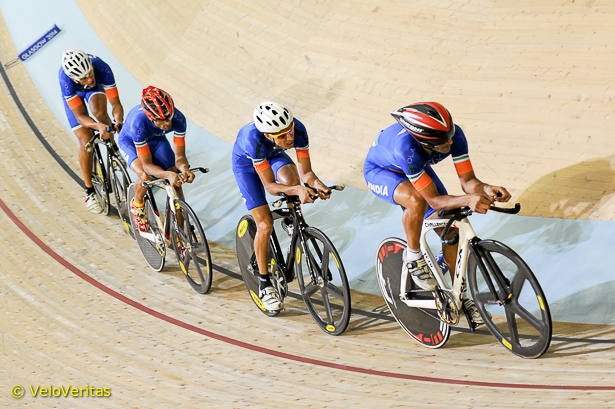 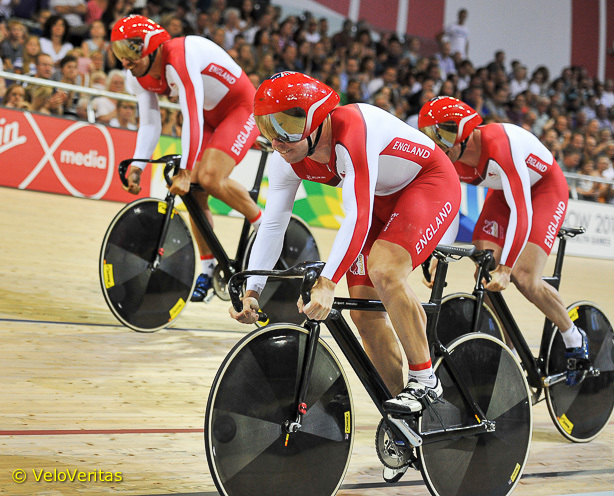 Nine countries took the start in the men’s Team Sprint, but at the sharp end the competition was truly world class. 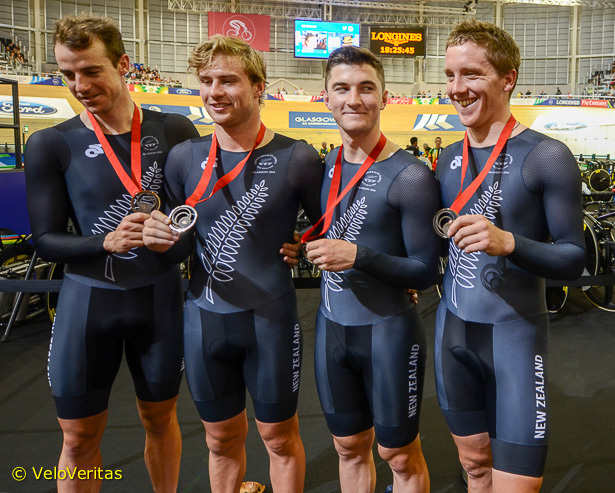 New Zealand were off last with Ed Dawkins, Ethan Mitchell and Sam Webster recording the fastest time (43.254) which put them straight into the final against England (Jason Kenny, Phillip Hinds and Kian Amadi), who had just put down the quickest time of the competition so far, 43.730. 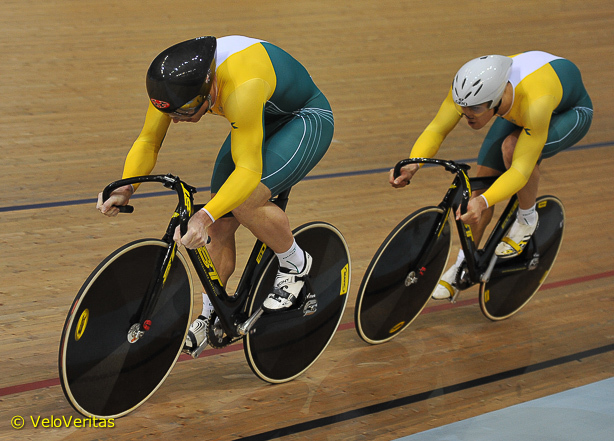 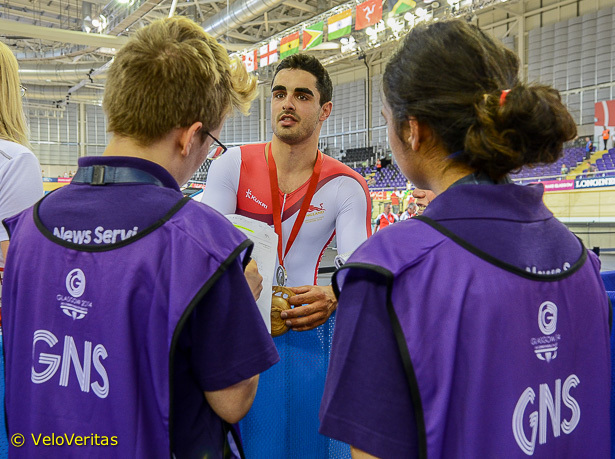 Australia (44.027) and Canada (45.302) in third and fourth were set to contest the bronze medal in the evening session. 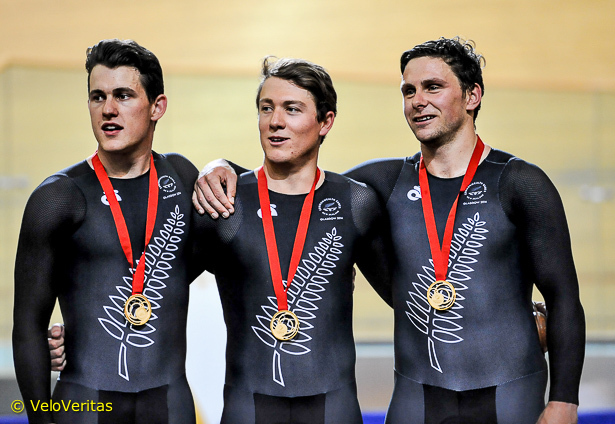 In the final, the gold went to New Zealand in a new Games record of 43.181, the Kiwis were always in control whilst the Englishmen looked somewhat short of their best and clearly unhappy with finishing second in 43.706. 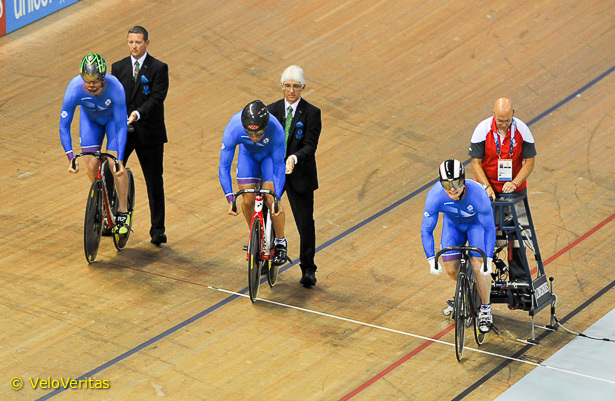 Australia took the bronze, their 43.709 too strong for the Canadians with 45.054. 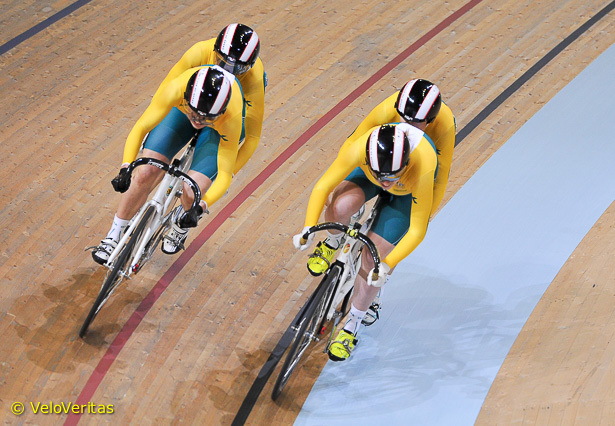 The two Aussie fast women, Anna Mears and Stephanie Morton secured another two medals for their country in the short two lap effort. 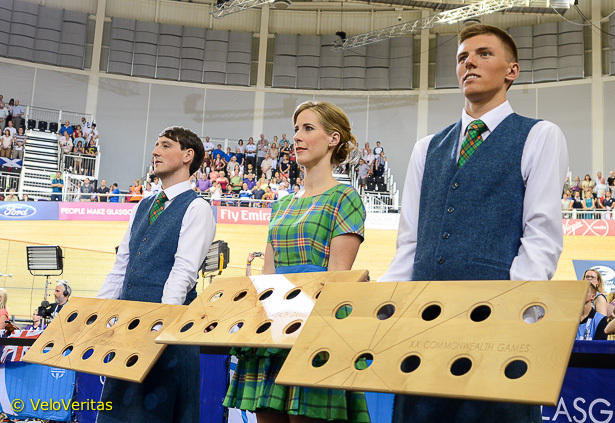 Mears was in a class of her own, finishing well clear of Morton and showing why she has won this event in the two previous Games. 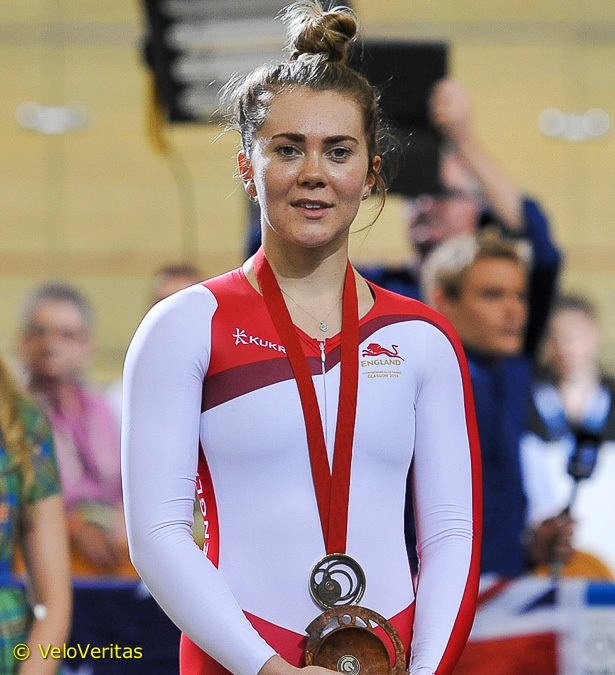 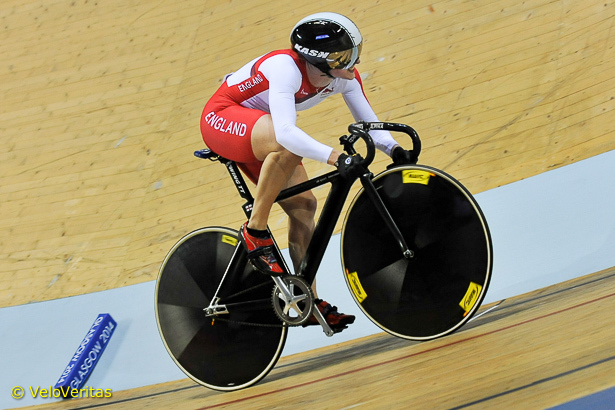 Jess Varnish took third and the bronze medal for England with a gutsy ride, keeping New Zealand’s Stephanie McKenzie off the podium by two tenths of a second. 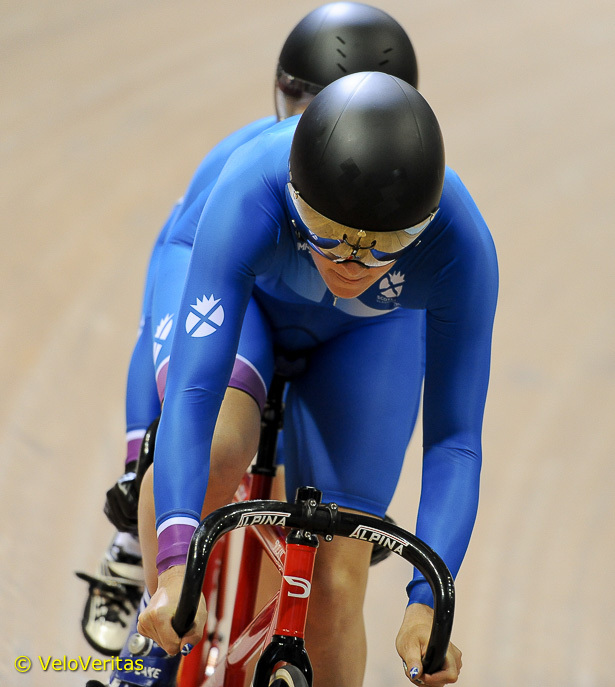 The Scottish representation came from Eleanor Richardson in eighth spot in 36.14 and Jenny Davis one place behind with 36.17. 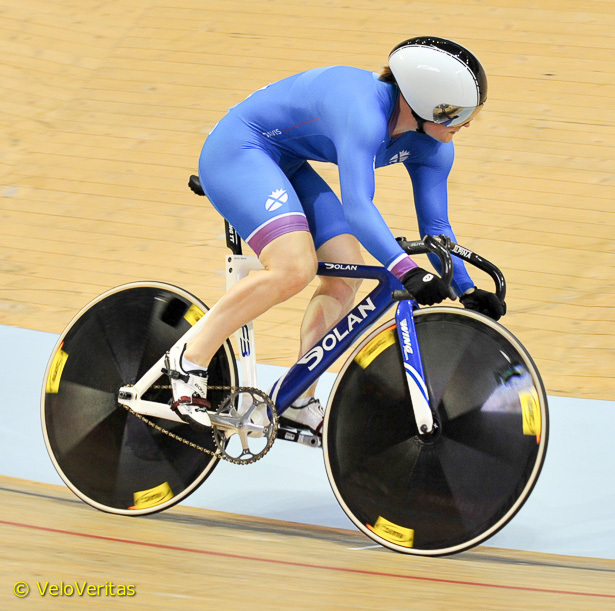 Scottish Road Race Championship 2013 – Gary Hand at Last! 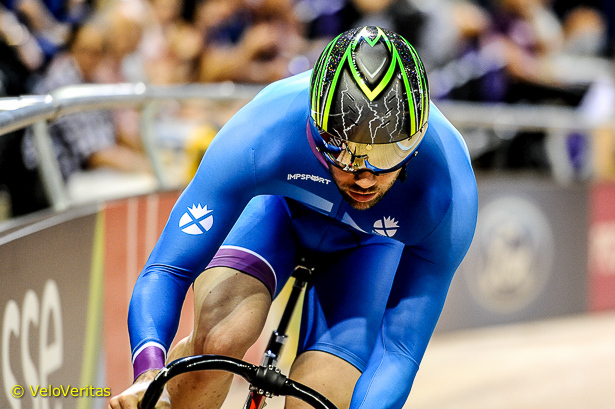 A few Sundays ago we saw Tom Dumoulin time trialling his way to Tour de France stage glory in the thin-aired horror that is Andorra; but there was a much more important race against the watch going on in darkest North East Scotland – the Scottish ‘50’ Mile TT Championship. 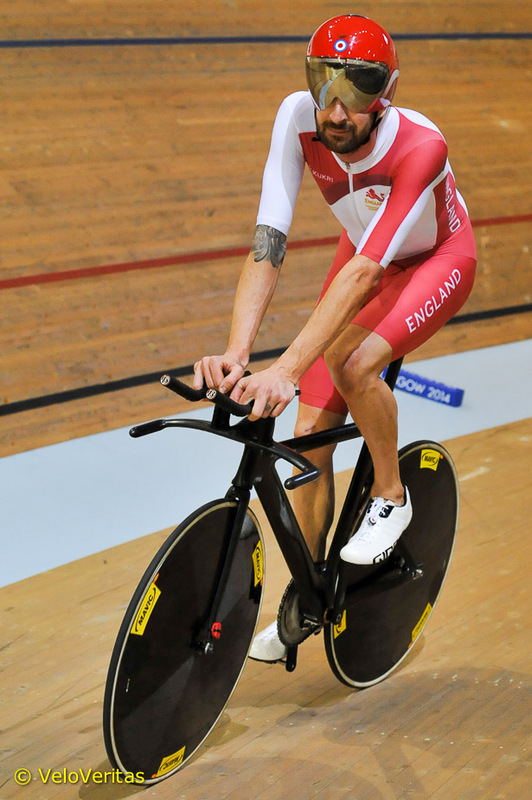 Back at the ‘10’ Champs, winner Chris Smart (GTR) told us that there was a ‘changing of the guard’ taking place in Scottish time trials – and so it proved, with new name, Jon Entwistle (Team JMC) taking the 50 mile honours in 1:44:45 from Chris (1:46:15) and 2015 champion, Alan Thomson (Sandy Wallace Cycles, 1:48:07). 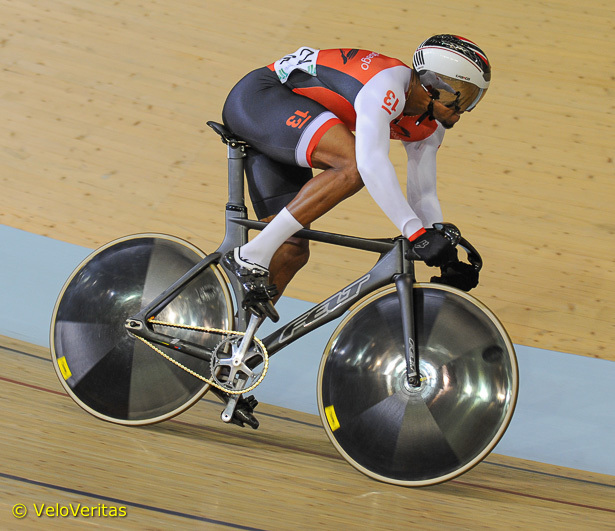 151.9km, 2720m ascent from Viana do Castelo to Senhora da Graça. 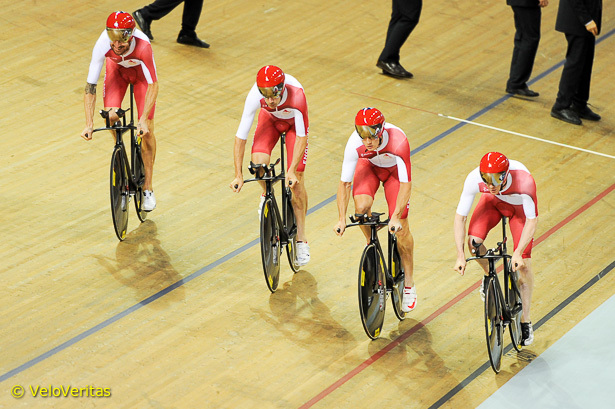 Last year this stage wasn’t so hard since we had four ‘rouleurs’ rather than just two this year. 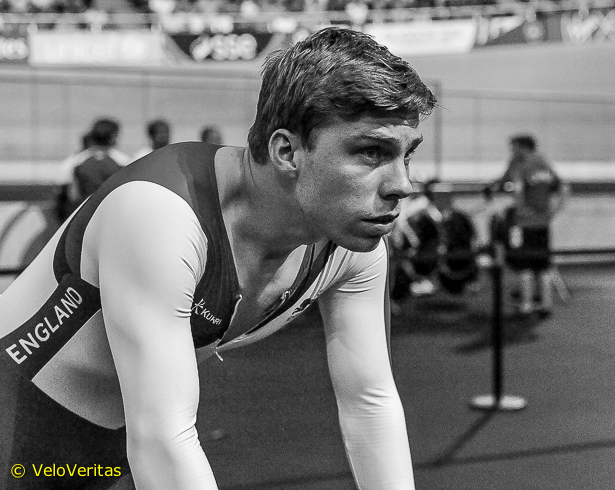 The race started in the beautiful town of Viana do Castelo and ended on a large mountain called ‘Senhora da Graça’ it was epic.